In a glittering ceremony held at the Vivanta by Taj, the police force of Uttar Pradesh was felicitated by India News with Shaurya Samman, presented by Su-Kam, co–presented by Rajesh Masale and powered by Dreamz Infra Ventures with health partner Rama Medical College Hospital and Research Centre. 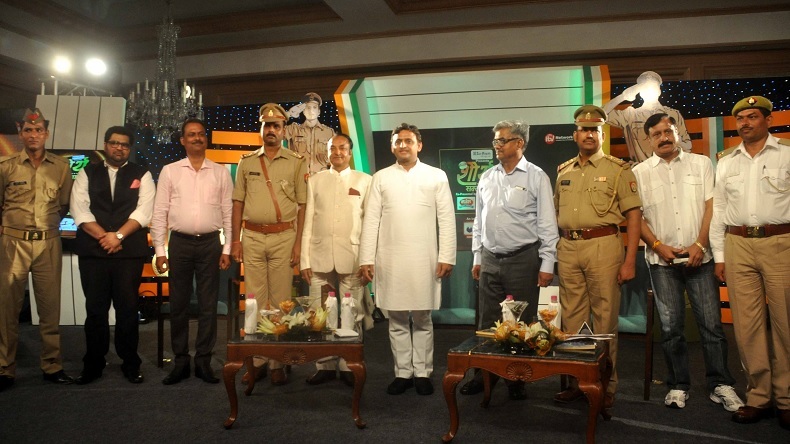 Under this unique initiative, the brave police officials of the Uttar Pradesh Police force were recognized for their contribution to the society. The bravehearts who have contributed to the betterment of our society were felicitated across different categories by Shri Akhilesh Yadav, Honourable Chief Minister of Uttar Pradesh, who graced the occasion as Chief Guest along with several other dignitaries, leaders and celebrities from Uttar Pradesh region. The winners’ selection was made through a stringent selection process and were further adjudged by an eminent jury panel of Mr. Jagmohan Yadav, DGP, Uttar Pradesh; Justice Vishnu Sahai, Retired Judge of Allahabad High Court; Dr. Sandeep Pandey, Social Activist and Winner of Ramon Magsaysay Award for Emergent Leadership; Mr. Arvind Kumar Goel, Social Worker & Philanthropist and Mr. Deepak Chaurasia, Editor-in-Chief, India News. iTV Network is India’s fastest growing news network. With two national news channels, four regional news channels, two newspapers and various digital assets, it has a reach of 91 million viewers and readers on a regular basis. NewsX, the National English News Channel of the network, has been a trend setter in the English news genre with its crisp format, direct reportage, pointed debates, trending hash tags and engaging mix of stories. In a short span of time, India News the leading national Hindi News Channel of the network has emerged as a leader in the most competitive genre, winning the trust of the Hindi News viewers. India News UP & Uttarakhand, India News Rajasthan, India News Madhya Pradesh & Chhattisgarh and India News Haryana have further strengthened the channel’s dominance in these Hindi speaking regions. The Sunday Guardian is the finest Sunday Newspaper by the network that is sought after by country’s discerning readers for its engaging content and innovative format. The group also publishes Aaj Samaj, a popular Hindi newspaper that caters to the informed readers in Delhi National Capital Region and the state of Haryana. With its innovative approach, extensive research and unbiased outlook, it has managed to stand out in the cluttered landscape. iTV Network is going through an expansion phase and aims to emerge as the biggest independent news network in the country.